Elmo’s House Artist Residency in Batan, Aklan is a contemporary art project and studio/live space for local and international artists. Established in the centre of the town between mountain and sea, the Residency provides a unique setting to conduct research and create work. To build an international art community in Batan, Aklan while fostering cultural exchange through initiatives and projects. To facilitate new perspectives for research and a space to create work in an alternative setting. To act as conduit between Batan and participating artists while initiating conversation about contemporary art and critical thinking. Elmo's House Artist Residency is in the small seaside town of Batan, Aklan. Amidst a tropical location and distinct cultural history, it’s the first artist residency in the region. The House is at the heart of a quiet fishing village, within a short distance to secluded beaches and lush mountains. Elmo's House is a multi-level six bedroom home. There are two 2,500 square feet open-air floors designated as communal working areas and studios. These spaces have unobstructed views of the town and boast inspiring sunrises and sunsets. 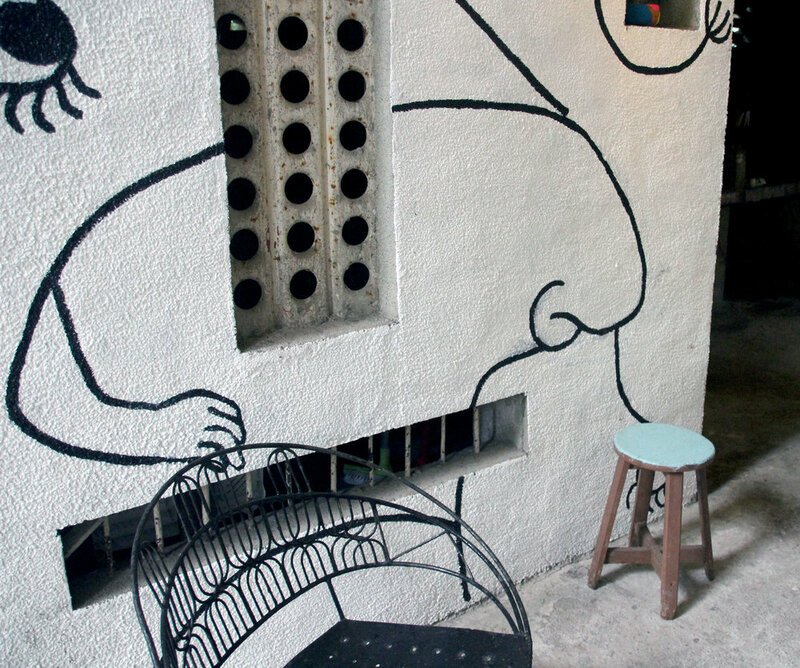 Artist will have a private room, shared lavatories and use of a stocked kitchen. Homemade dinners will be provided and enjoyed as a daily communal event for artists in residence. 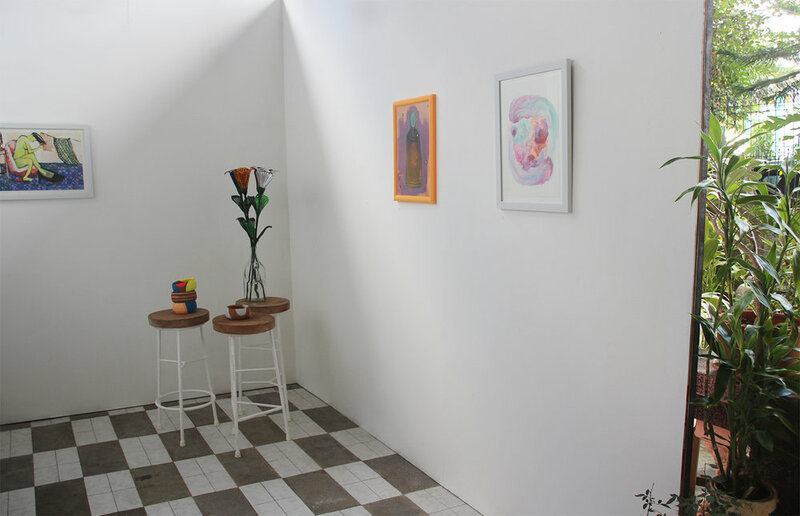 Elmo’s House welcomes contemporary artists working in any medium. The Residency’s location and the community it is a part of is an important and unique aspect that can enrich one’s practice. Special consideration for artists' proposals that align with the Residency's mandate. 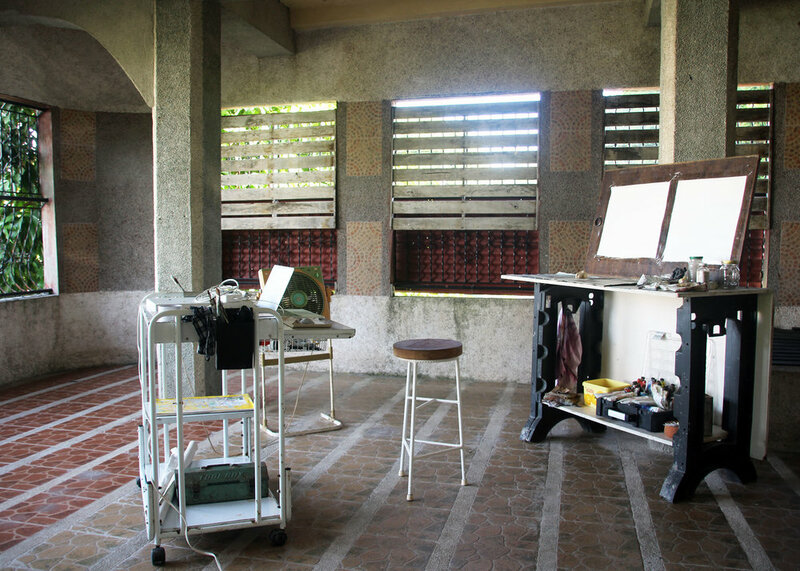 Elmo’s House founder and Residence Director, artist Kuh Del Rosario, is interested in building upon the semantics of materiality and the relationship between the natural and the human-made. This focus on the tangible has functioned in grounding the existential ideas that motivate her work. This trajectory has led to questions of ancestry and indigenous roots, which made it crucial to continue her practice in the Philippines. Living and working in Vancouver provided a perspective that had to change eventually. Elmo’s House Artist Residency started as a personal project that has grown to encompass ideas and goals beyond its original intent. Its current keepers, Kuh Del Rosario and her partner Ryan Romero, have revived the House after an extended period of it sitting uninhabited. Today, Elmo’s House Artist Residency presents a new direction to both their practices and a new chapter for the Del Rosario family home. Elmo’s House Artist Residency operates out of the house Patrocino Salazar Del Rosario built in the early 1960’s in preparation for his growing family. 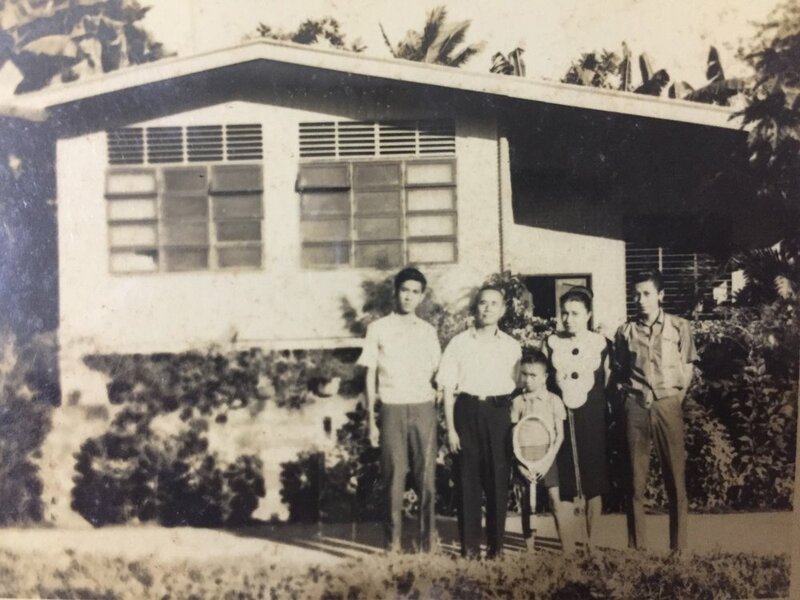 Over the years the house has undergone several renovations and additions, with the most recent and dramatic commissioned by one of his sons, Elmo Del Rosario. Over several years starting in the mid-1990’s, Elmo slowly added vertical space to the house with two open-air floors and spare rooms. It is not uncommon for homes in Batan to be developed in piecemeal as extra money becomes available. The construction of this particular house is no different. What distinguishes itself from neighbouring dwellings is Elmo’s singular vision clearly articulated in each brick and stone. Without consulting an architect, the design of the house was definitively his. Born in Manila and raised in Calgary, Kuh Del Rosario graduated with a BFA in Painting at the Alberta College of Art & Design. Over the last 15 years, she has been an active member of the arts community in Vancouver. Elmo’s House Artist Residency is in part, an extension of her practice. This project is informed by ancestral ties and the desire to establish an international community in this vibrant and complex town. With vast experience in design and brands in North America, Ryan Romero plays an integral role in the creative direction of the Residency. Born in Manila, raised in Riyadh before finding a home in Vancouver, Ryan has a unique perspective of culture and the identities we form around it. Working with Kuh at Elmo's House is a time to reconcile his ancestry with his practice. As a native Batangnon, Nancy de Mayo knows the ins and outs of Batan, the community, geography and culture. Nancy has been part of the Residency since October 2017. With such a hands-on role, Nancy has become the go to expert in and around the property. Nancy has also contributed in various art projects and is currently working on developing her weaving project. Filipino born and raised, Asahi Angelo has been part of the residency since early 2017. Tasked to provide comfort and companionship to new residents, she is slowly growing into her role.